Assistant Professor of Chemistry Dr. Duane Hatch and two Belmont students, Ambrose Rice and Ryan Agh, spent 10 weeks at a Department of Energy national laboratory this summer engaged in a research project as a part of the DOE’s Visiting Faculty Program, which Hatch was selected for. On August 4, the students presented their research posters at the 15th Annual Los Alamos National Laboratory Student Symposium. The annual event brings together more than 150 students from universities all over the U.S. and is intended to broaden students’ expertise to prepare them for careers in the science and nontechnical fields. 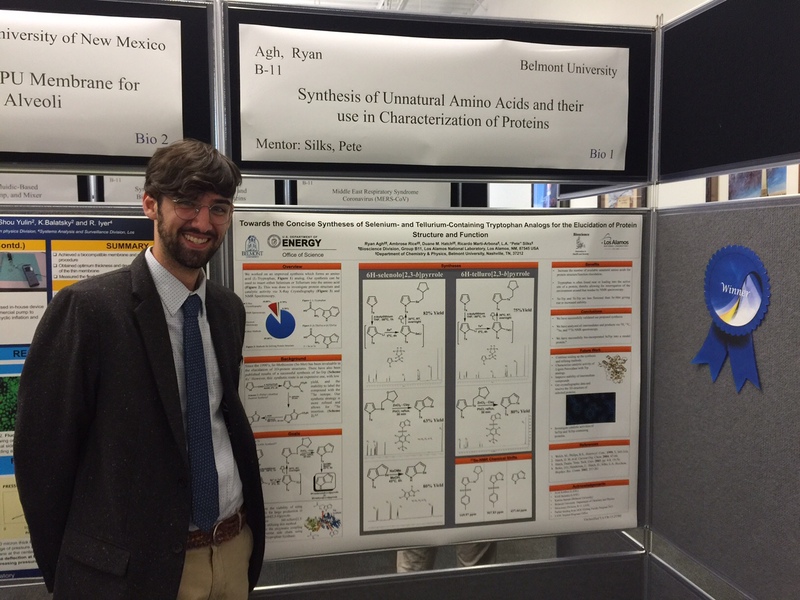 Above image: Ryan Agh presents his award-winning research poster.